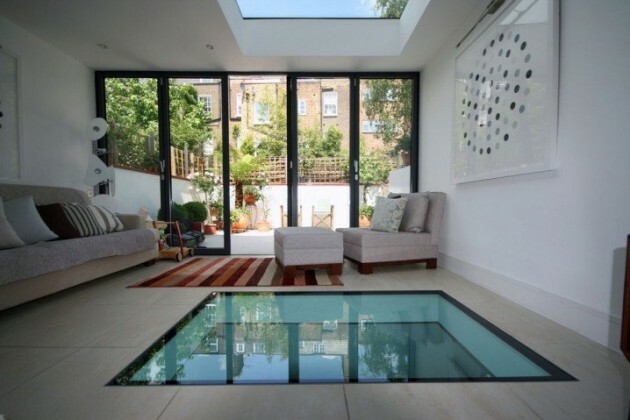 If you want the most modern solution for attractive floor, then it will be definitely the glass floor. 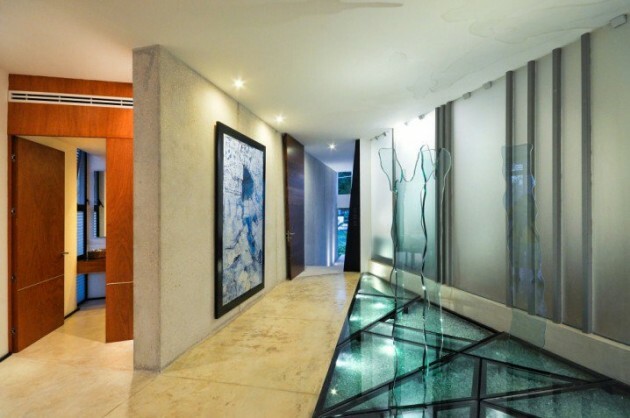 This will give the area under, a special touch of luxury. 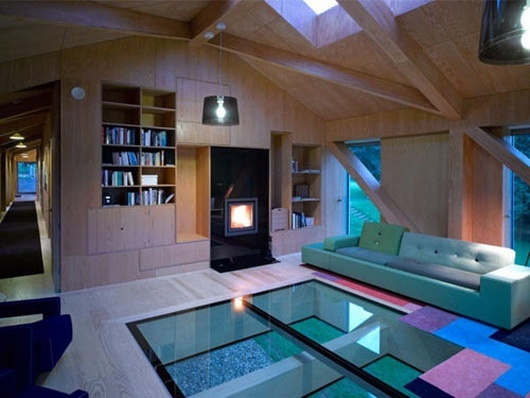 Glass floors are very effective and attractive solutions in modern interiors and also in the exteriors. 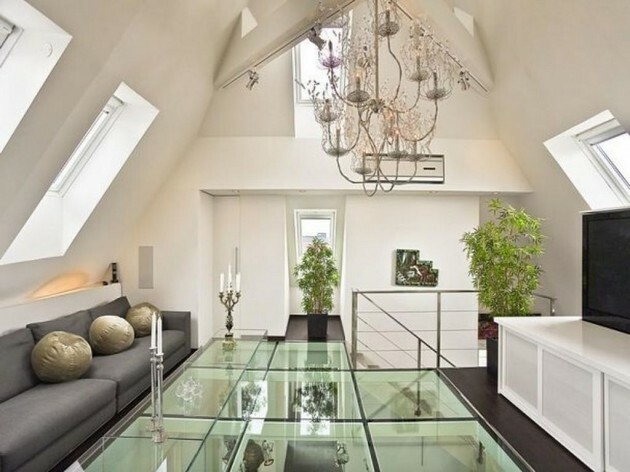 These floors can give the room a touch of modern, simplicity, and luxury. 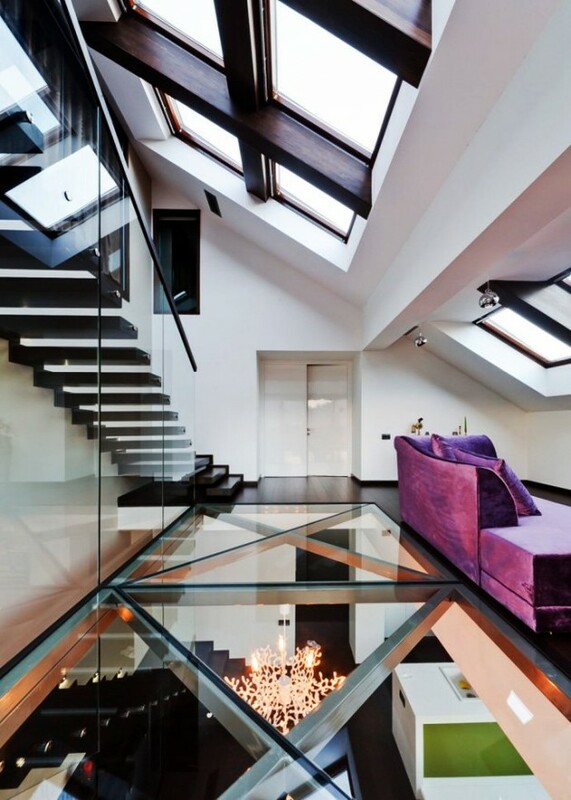 Glass floors are commonly used to cover part of the floor, and rarely the whole floor area. 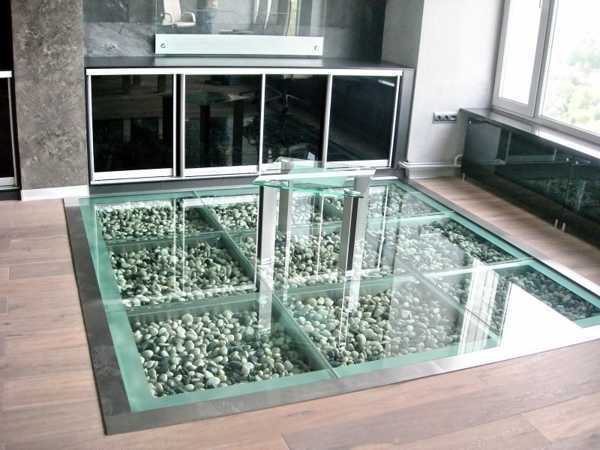 The most common are made of tempered glass. 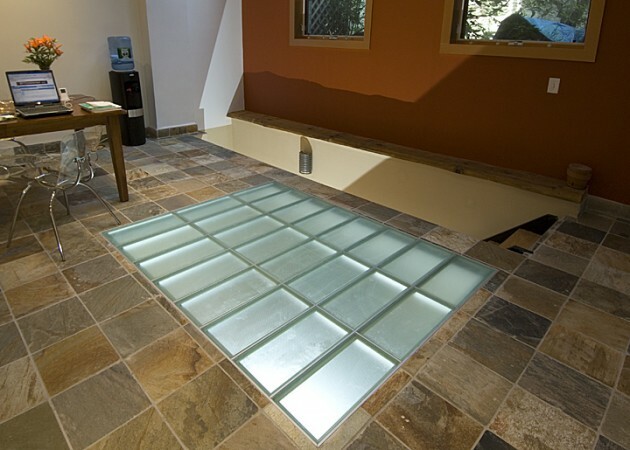 Special glass panels or blocks are commonly used with metal frame. 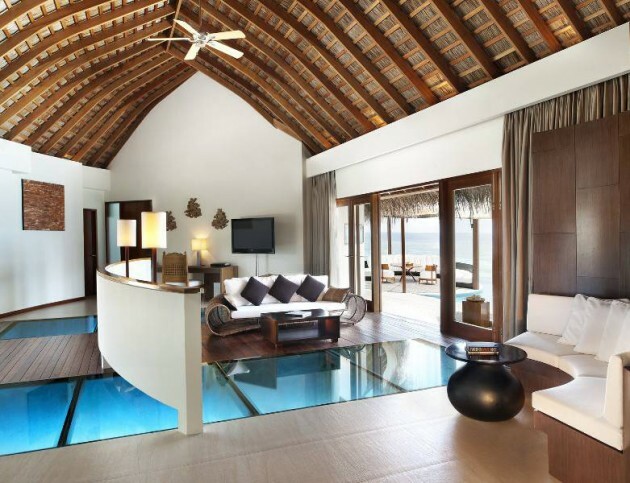 They are used both in public and in private facilities. 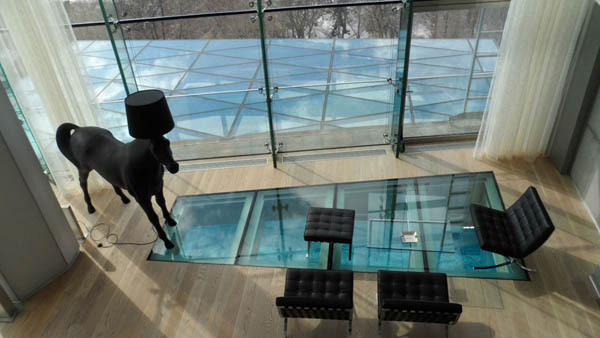 Frequent use of glass floors can be also at the tourist attractions, in order to provide better and more effective view of the urban or natural landscape. 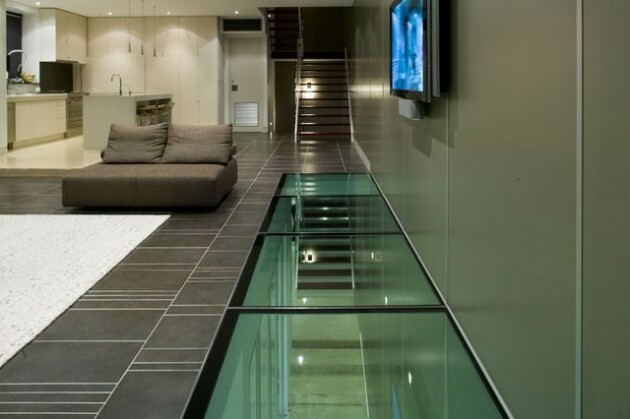 Glass floors are never made of ordinary glass that is used for windows, but of special glass – laminated and specially reinforced to withstand the pressure and weight. 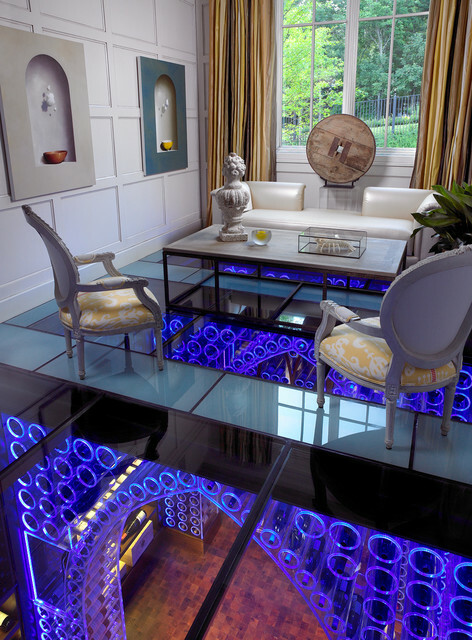 If you want to add a special charm to your interior, this is the right solution. 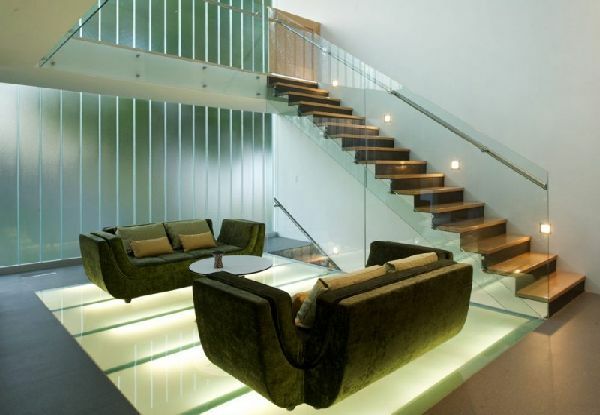 See our examples and get inspired!